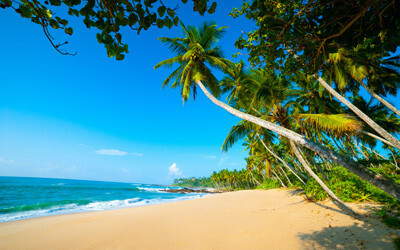 As you step into the magical Island of Sri Lanka, there’s no turning back from its spell. 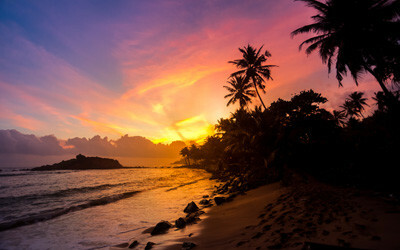 Bound by its spell, you will be emotionally trapped to explore and witness the beauty of this magical Island. Serving many tourists throughout the year, the Island has seasonal attractions and throughout the year attractions. The white sandy beaches and corals, the magnificent back drops of central highlands, exquisite arts and cultural customs followed by rituals and memories, endemic wildlife species and sumptuous culinary desires could all be experienced on this magical Island. Let alone decide on your preferences and you will enjoy a vacation like no other. 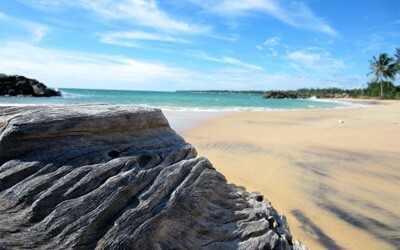 Feel excited, adventurous and romantic or relaxed during this vacation in Sri Lanka. 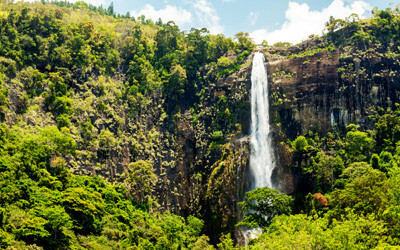 As Sri Lanka acts as one of world’s main tourists attractions, it is also very popular for its high mountains and hilly areas that stretch through scenic views. 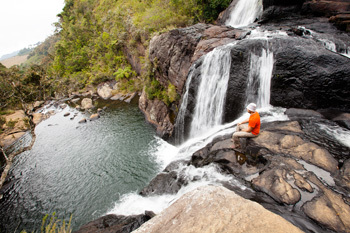 With breathtaking and endless landscapes the central highlands acts as a major place of interest. 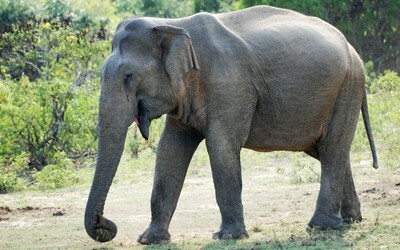 Kandy, Peradeniya and especially Nuwara Eliya serves this purpose of many tourists. It’s not a secret that many extend their stay just by the influence of its magnificence. 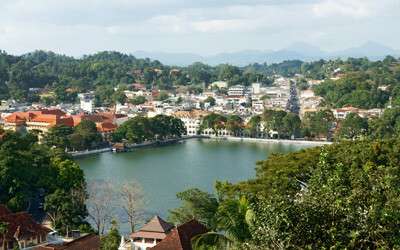 As you head to the hilly stretch, the attractions include the one and only sacred Temple of Tooth Relic in Kandy, the royal botanical gardens, The City Center in Kandy, National Museum and many more historical temples of belief, tea plantations and factories, popular waterfalls, beautiful view points and a breathtaking climate to die for. It’s truly fascinating to experience a whole bunch of fun in one package. 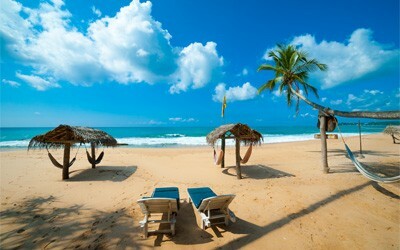 As all tourists are encouraged to experience the beach fun in Sri Lanka at least ones in lifetime, it is also amazing to believe what the beaches have in store for you. As you decide to spend this vacation at one of the most entertaining beaches, you also sign up for an endless fun that blend in romance, adventure and family fun all in one package. 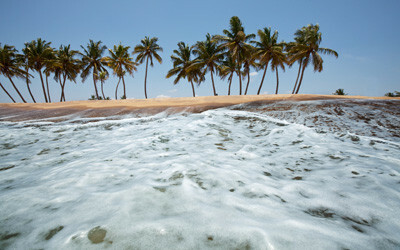 As our major beaches of interest of Hikkaduwa, Unawatuna, Galle, Bentota and Negombo are located in the Western coastal stretch, Nilaveli, Arugam Bay and Pasikuda spread through the Eastern coastal belt. All of these beaches have their unique way of celebrating. 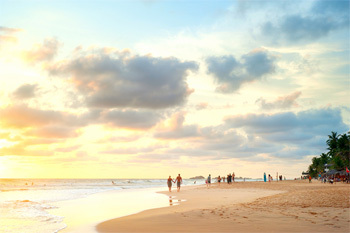 As best surfing is recommended in the Eastern coastal beaches, most other beach adventures are encouraged similarly in all beaches. Jet skiing, diving, boat riding, Dolphin and Whale watching, swimming and many more come handy with our beaches. The clean beach fronts offer all guests a truly relaxing environment and not to mention the sumptuous fresh water sea fish dishes that drive you crazy all over. As a blessed traveler, Sri Lanka offers you with a truly memorable heritages vacation for those who intend on spending quality time exploring and visiting the heritages cities of Sri Lanka. With a very long history, Sri Lanka has served many tourists the opportunity to witness culture, tradition, religious beliefs, age old ruins of kingdoms that reigned at the time and various other vital temples that have added extreme value to the heritages history of Sri Lanka. 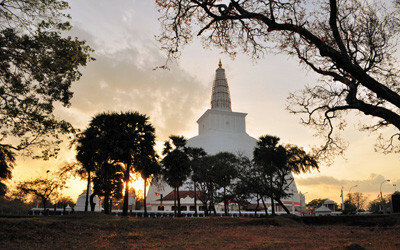 As Buddhism being the main religion in Sri Lanka, there are plenty of travelers, worshipers and followers intending to explore in Sri Lanka. Thus the major historical and heritages cities of Polonnaruwa, Anuradhapura, Kandy, Sigiriya and Dambulla offer to serve you with extreme historical knowledge that’s been preserved since ancient times. 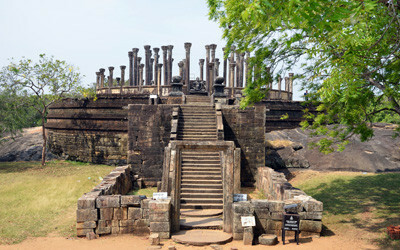 Visitors get the opportunity to witness attractions as ruins of stupas and palaces and temples built by great kings which include, Jaya Sri Maha Bodhi, Samadhi Statue, Jetavanaramaya, Kuttam Pokuna, Isurumuniya, Lovamahapaya, The Rock fortress in Sigiriya, Royal palace of Polonnaruwa, Shiva temple and many more. One could truly explore knowing it never ends yet feeling full. 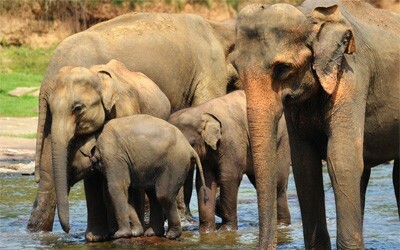 Let your vacation envelop you amongst the wilderness of the wildlife safaris in Sri Lanka. 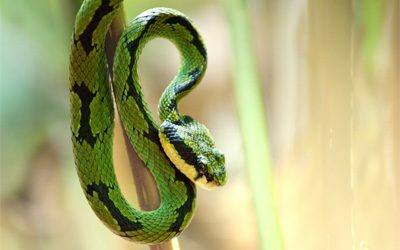 As you decide on this vacation to experience the wildlife in Sri Lanka, you also decide on feeling adventurous and challenging. 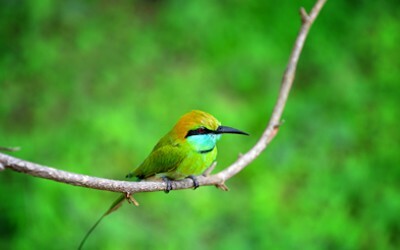 Get your camera prepared to capture a whole bunch of wild life animals as Wild Elephant, Leopard, Sambar Deer, Wild Boar, Bandicoot, Mongoose, Toque Macaque, Fox, Water buffalo and many more species of migrant and endemic birds, fish, reptiles and beautiful butterflies flying all over their territory. 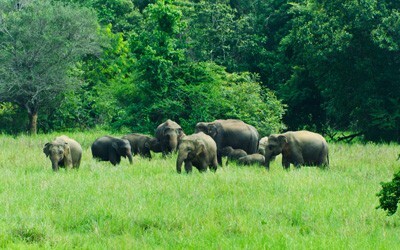 Our parks of wildlife include, Minneriya National Park, Udawalawe National Park, Sinharaja Forest Reserve, Yala National Park and Pinnawala Elephant Orphanage (only Elephants). For as long as your tour goes ahead, you can enjoy accommodation at a hotel or experience camping with bonfires amidst of the wilderness and the secret voices of wild animals. 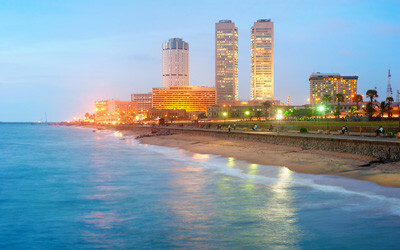 As you end your tour and feel like an urge for shopping in Sri Lanka, Colombo acts as a major defense. Feel free to enjoy a moment of shopping spree at any of your favorite malls or hi end fashion lines that spread all over the city. The hotels and restaurants serve you with nothing but the best. 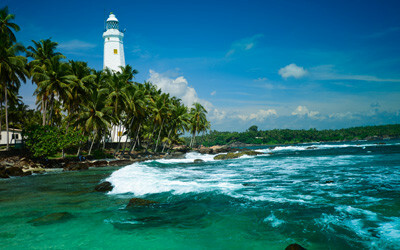 Colombo also possess many attractions of interest as the museum, churches, temples and entertaining parks. For those of you who would enjoy night life highly appreciate the services Colombo has to offer. Irrespective of your holiday package, our services are sworn by oath with the moral of satisfying you with every best of luxury on the Island that never cease to awe or fascinate you for as long as you are with us.